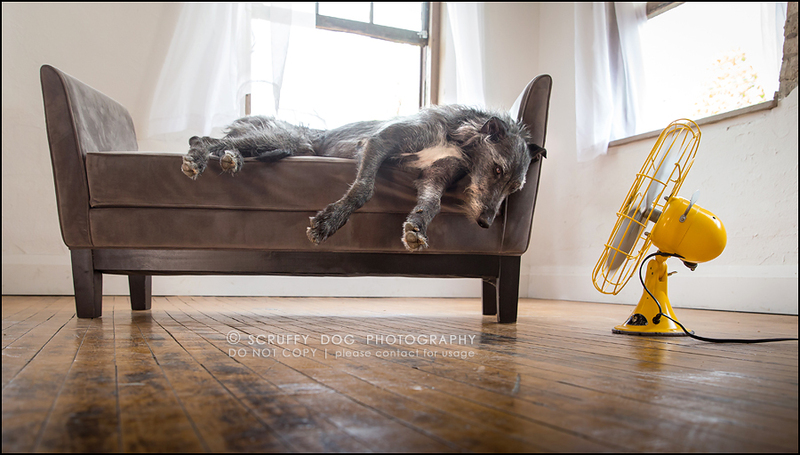 This is Archer, the Scottish Deerhound and his images from the much-awaited BLOW project. I introduced this special pet photography series in this previous blog entry, but given the variety I captured of each participant I felt that individual entries were warranted. I couldn’t love this boy any more. Thank you, Archer, for participating in this special project. You were amazing! Stay tuned right here on the scruffy dog blog for more exciting entries in the BLOW photo series! And if you don’t want to miss a single one, consider ‘subscribing’ for the notifications by email whenever a new blog entry has been posted. You’ll receive a simple email alerting you to a new blog entry — easy peasy. Subscription signup can be done through the slideout menu on the left … yup, right over there … or rather ‘left’ over there. You got it! Linda Black - Archer is one of my favourites in this series. He is so distinguished looking in the first photo then he lets it all go with the others to show his more relaxed and humorous side. Thank you, Illona for a great series.